Lecturing about the power of simplicity at a Korea Chamber of Commerce and Industry-hosted event, the Korea Herald reports Segall told attendees about Jobs and his work, among a variety of Apple-related topics. 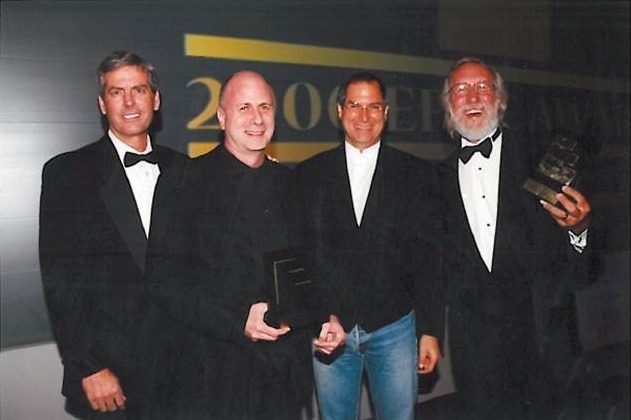 Segall worked with Jobs over 12 years, helping to market Apple's industry-changing products, including producing the "Think Different" campaign at advertising firm TBWA/Chiat/Day. "Steve was quite unique and will never ever be replaced, so it is impossible for Apple to be the same," mused Segall. "But I think his value is there, and brilliant people are there, so things move forward. I think the innovation is happening in a same pace, really." While it is known for creating ground-breaking products, Segall suggested Apple's success doesn't stem from this type of work. "Apple's version of innovation is not being the first in the world to come out with the new kind of product category," he claimed. The sentiment echoes earlier statements made by current Apple CEO Tim Cook. Speaking about rumored AR glasses in October, Cook advised "We don't give a rats about being first, we want to be best in creating people's experiences." When asked about Apple and long-time rival Samsung, Segall noted they were different in their philosophies, but similar in some ways. In reference to the seven years of patent lawsuits between the two, Segall believes both companies "borrowed" elements from other firms when creating their devices. "Samsung has definitely borrowed ideas from Apple, but at the same time Apple has borrowed many ideas from other people," Segall asserts. "It's a legal issue I suppose." Segall also proposed that there isn't much more innovation that could take place in the smartphone field, with it becoming similar to changes in the computer market. Digital assistants like Siri and other voice-based applications are suggested to still have some room for innovation. Smartphones are "very mature products right now, according to Segall, and that consumers should not expect "huge leaps" in innovation. Smartphones could become more of a commodity item in the future, he mused, with society moving towards adopting wearable technology.